New England Patriots quarterback Tom Brady reacts as he leaves the field following the game against the Denver Broncos in the AFC Championship football game on Jan. 24 at Sports Authority Field at Mile High in Denver, Colorado. NEW YORK — The Ivory Tower has thrown its weight behind Tom Brady. A group of 21 physics and engineering professors on Tuesday urged a U.S. federal appeals court to reconsider its 2-1 decision to reinstate the New England Patriots quarterback’s four-game National Football League suspension in the “Deflategate” case. In a brief filed with the 2nd U.S. Circuit Court of Appeals in New York, the professors said there is “no scientific proof” Brady did anything wrong in using underinflated footballs, which can be easier to grip, during the Patriots’ 45-7 rout of the Indianapolis Colts in the January 2015 AFC championship game. That victory propelled the Patriots to Super Bowl XLIX, where they beat the Seattle Seahawks. Brady and the NFL Players Association asked the appeals court on Monday to reconsider its April 25 decision that NFL Commissioner Roger Goodell had authority under the league’s collective bargaining agreement with its players to suspend Brady. Goodell imposed the suspension after a lawyer hired by the league said Brady had been “generally aware” that two Patriots employees had conspired to deflate footballs. But the professors, including 10 from the Massachusetts Institute of Technology, said footballs lose pressure naturally in cold weather, and that underinflated footballs are routinely used in NFL games, perhaps even a majority. The Patriots play home games in Foxborough, Massachusetts, about 30 miles southwest of Boston and the MIT campus. Other professors who signed the brief came from Boston College, Purdue University, Stanford University, the University of California at Berkeley, the University of Delaware, the University of Michigan, the University of Minnesota, the University of Pennsylvania and the University of Southern California. Brady wants the original three-judge appeals court panel to reconsider its decision, or have all 13 active judges on the 2nd Circuit review the case in an “en banc” proceeding. The 2nd Circuit is known among lawyers for almost never rehearing cases en banc. It is unclear how soon it will decide on a rehearing. 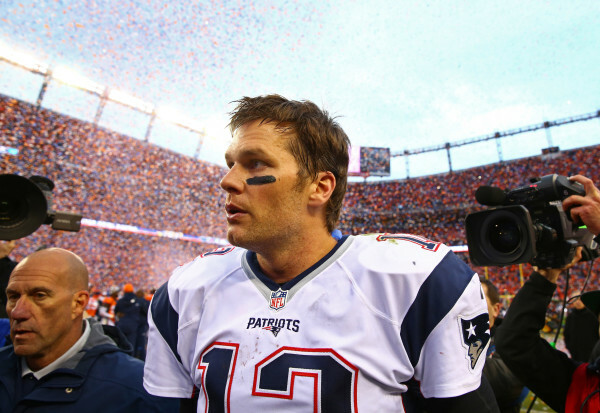 If it decides not to get involved, Brady could appeal to the U.S. Supreme Court.